We look forward to welcoming you to the Acoustic Cities Study Day tomorrow, Friday 2 March, 9.30 AM - 5.30 PM in the Faculty of Music, University of Oxford. We are going ahead with the event despite weather / travel disruptions. 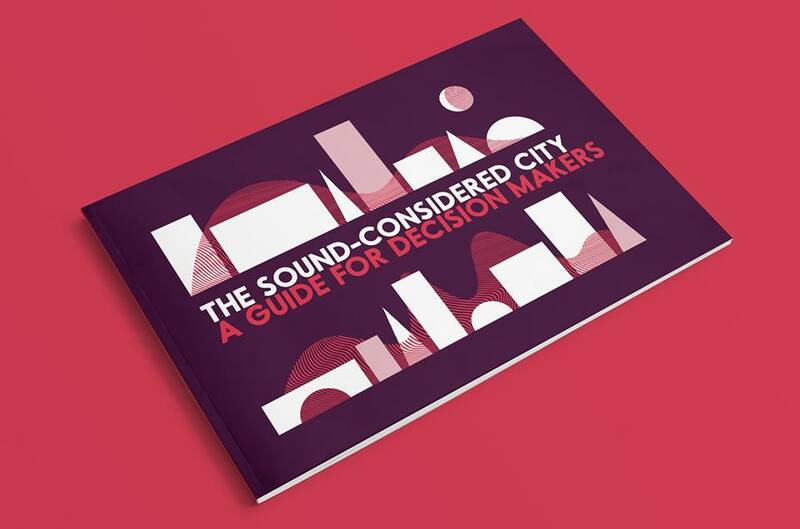 You can download a copy of The Sound-Considered City: A Guide for Decision-Makers here. All are welcome to attend the launch for The Sound-Considered City. If you cannot attend and wish to have more information please contact us at recomposingthecity[at]gmail[dot]com. Poster by Ryan O'Reilly (Rinky Design) ©2018. 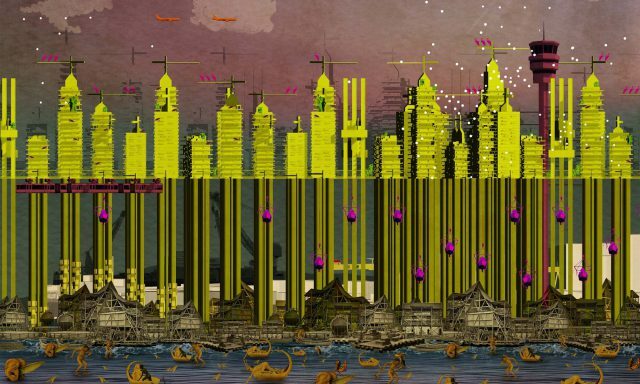 The interdisciplinary research groups Recomposing the City, Urban Rhythms Network, and Theatrum Mundi will co-host a Study Day on Acoustic Cities in the Faculty of Music, University of Oxford. The Study Day will be devoted to exploring a wide variety of issues and practices related to urban sound: city symphonies, acoustic architectures, the politics of sound and noise mapping, intersections between sound art and urban design, sound and pedagogy in architecture and urban studies, and the challenges of acoustic planning, among other pertinent issues. We are grateful to the AHRC, the Faculty of Music at the University of Oxford, and the TORCH Centre for Research in the Humanities at Oxford for their support of this day. RTC's PhD researchers Elen and Conor have been invited to present at PLACE's So What? series on the 13th February in Belfast. The title of the presentation is Exploring Urban Space in Belfast Through Sound. The idea of So What? is to showcase the range of research in architecture and urban planning going on in Northern Ireland. Find out more about the So What? series here. Still from the HEAR YOUS:LISTEN UP interventions, Culture Night 2017. Dr. John D'Arcy, Queen's University Belfast. The 7th annual conference of the AIARG (All Ireland Architecture Research Group) took place on 25th-26th January. The conference, named Res Publica explored the relationship between architecture and the public realm. As part of this exploration, Dr Lappin presented our new publication The Sound-Considered City as part of her talk 'Sound Art and the Making of Public Urban Space'. The event will take place in the Reception Room in Belfast City Hall on Monday 19th February 2018 from 4pm to 5pm. Drinks and light refreshments will be served. Please RVSP and direct any questions to recomposingthecity@gmail.com. On 8 January 2018, RTC's Dr Sarah Lappin and sound artist and composer Dr Matilde Meireles offered advice on design and sound elements of the student proposals for Public CoLab. Public CoLab, led by Dr Nuala Flood with Niek Turner and Dr Jasna Mariotti is a live project that harnesses the skills, talents and creativity of the architecture students at Queen's University Belfast. It directs them towards a pressing and pertinent issue facing the people of Derry-Londonderry. The project has been developed in collaboration with a riverfront regeneration initiative called Our Future Foyle. It aims to understand the negative connotations associated with the River Foyle and promote a greater sense of health and wellbeing along its banks. It was commissioned and initiated by the Public Health Agency for Northern Ireland and implemented by the Helen Hamlyn Centre for Design at the Royal College of Art, London. The architecture students have designed a number of interactive installations to bring vitality and joy to this part of the city. These interventions provide a place to pause and enjoy the landscape and, also, to showcase the output of one of two creative local enterprises. The first is a musical composition that reflects the River Foyle and the second is a number of 3D prints created as part of Remake, Reimagine Replay - a national lottery funded project that invites the children of Northern Ireland to reinterpret items for the regions museums using 3D printing technologies. A number of the installations, designed by the QUB students, will be built and tested in-situ in late April 2018. The Derry/Londonderry based Fablab will play a key role in the manufacturing process and they have worked closely with the students for the duration of the project. On 28 February 2018, Dr Lappin and Dr Ouzounian will present the findings of RTC to date at the Northern Ireland Assembly's Knowledge Exchange Seminar Series (KESS). The event, which occurs throughout the year, allows academics and researchers to present their work to elected officials, policy makers and civil servants. The session on 28 Feburary will feature work of scholars on the topics of "People and surroundings -- impacts of sound." Gascia Ouzounian is Guest Editor of the latest issue of Evental Aesthetics, on 'Sound Art and Environment'. Links to individual articles below. The entire issue can be downloaded here. Gascia Ouzounian, "Editorial. Rethinking Acoustic Ecology: Sound Art and Environment"
Mark Peter Wright, "The Noisy-Nonself: Towards A Monstrous Practice of More-Than-Human Listening"
David C. Jackson, "The Sonic Anthropocene: Dark Ecological Soundscapes in Chris Watson’s “'Vatnajökull'"
Owen Coggins, "Collision. Imagined Drone Ecologies: Listening to Vibracathedral Orchestra"
Sophie Knezic, "Reading. Cognizant Perception: The Case for a Critical-Affective Ambience"
In September 2016, RTC conducted several workshops with planners, councillors and professionals to better understand the ways in which the sonic environment can be better considered at early stages of urban design projects in Belfast. We were overwhelmed by the interest in our workshops from all areas of planning and urban design and the primary conclusion drawn was that designers and decision-makers alike are calling for sound to be recognised as a key factor in any successful urban setting. Since these workshops, RTC have met with key decision-makers in planning and tourism in NI, some of whom asked us to pursue further research to inform their work. As a result, RTC prepared a briefing paper for Belfast City Council describing how acoustic considerations will directly affect the objectives set out in NI’s Local Development Plans. Thanks to the Urban Sound workshops, our attention has been drawn to several planned urban projects in Northern Ireland that we hope to enhance through advising careful consideration of the sonic environment. For example, research into three scales of sound art installation in urban areas was supplied to Pier Morrow at Belfast Tourism. RTC has applied to present information to the Northern Ireland Assembly in Autumn 2017 as part of the Knowledge Exchange Seminar Series (KESS). KESS is annually delivered by the Northern Ireland Assembly’s Research and Information Service (RaISe) and local university partners: Queen’s University Belfast (QUB), Ulster University (Ulster) and The Open University (OU). RTC is currently finalising the first draft of a Planning Advice Note. This work is based upon extensive research across Europe, and informed by the workshops held by RTC in Belfast last September. We have carried out a detailed analysis of particularly impactful advice notes from around the UK and the EU. For this reason, the RTC project is currently one of the possible Impact Case Studies for REF UA16 for QUB Architecture and Planning. In October 2016, RTC created a briefing paper called Planning for Healthy Acoustic Environments commissioned by Martina Lundy, Belfast City Council, as part of the council’s drafting of new planning policy. Health will be an important consideration for councils in Northern Ireland as they prepare Community Plans and Local Development Plans as a result of the local government reform in 2015. Sound is an important but often overlooked factor affecting health and wellbeing, especially in cities, and while many environmental health factors in urban areas are improving, noise pollution continues to rise (Goines and Hagler, 2007). The way that sound affects our wellbeing goes far beyond the impairment of the ear organ and noise-induced hearing loss (NIHL). It has been shown to affect blood pressure, mental health, crime and antisocial behaviour as well as economic sustainability and the biodiversity of our natural environments. Therefore, acoustic planning is relevant to councils’ Strategic Environmental Assessment (SEA) for the Community Plan, and the Sustainability Appraisal (SA) that accompanies the Preferred Options Paper for the Local Development Plan. This briefing paper presents evidence of health issues associated with noise and sound, and how this can relate to land use planning. It provides evidence that land use planning can improve such issues through considering sound at an early stage, and that this can contribute to economic, environmental and social sustainability. Recomposing the City and PLACE Architecture & Built Environment Centre will co-host a series of 3 workshops at The MAC Belfast in September on the topic of urban sound design. The workshops, which are generously supported by the Arts & Humanities Research Council, will bring together urban planners, architects and sound artists in discussing the role of sound in the design and planning of urban environments. We look forward to welcoming workshop participants at The MAC in September. 'Listen to this Wall' public art initiative, San Francisco. Photo by Gascia Ouzounian 2016. Recomposing the City co-director Gascia Ouzounian will guest edit a forthcoming issue of Evental Aesthetics on the topic 'Sound Art and Environment'. The deadline for submissions is 31 October 2016. Please find the Call for Papers here. As part of their AHRC Hearing Trouble project, the Recomposing the City team has begun preliminary work on their roundtable workshops which will occur in Belfast in early September 2016. The workshops will bring together architects, sound artists, planners, policy makers, developers, and government officials to discuss how sound might be better considered in the making of public space. If you are interested in attending these workshops, please contact us. Conor McCafferty, PhD Researcher with the Recomposing the City research group, has been selected to take part in Sound @ Nissan, an innovative urban development project led by the Harp Art Lab in Halmstad, Sweden. Conor is one of ten people selected to develop work during April-September 2016. The Sound @ Nissan project will use sound art methods and processes to inform the planning and design of a new residential area close to the Nissan river: "The project aims to use sound as a tool in the urban development process of Tullkammarkajen in Halmstad. The new residential area is planned to develop along Nissan - the river that runs through Halmstad, Sweden. The area will consist of a mixed development in its content, predominantly residential residences (600 units) and it will be the 'future portal to Halmstad by the water'." In his PhD project, Conor is researching the use of sound maps as a means of urban analysis and participatory engagement, asking how built environment professionals and residents can develop their understanding of urban spaces through sound. For this project, he will work with local residents, architects, planners and other stakeholders to explore the urban environment with sound maps. Former student member of the Recomposing the City group, Antonis Stylianou, has begun teaching architectural design at the Cyprus Academy of Art. Stylianou carried out research as a Master's of Architecture student at Queen's about urban sound art installations for both his humanities and technical dissertations. In addition to teaching, he is also working in an architectural firm and continues to DJ. From 23-27 October 2015, Michael Corr, Director of PLACE, Northern Ireland's Architecture and Built Environment Centre, Sarah Lappin and a group of ten Master's of Architecture students from Queen's carried out a study tour in Berlin. In addition to studying multiple buildings and spaces in the city, the group also toured Hans Scharoun's Berlin Philharmonie building, visited Arno Brandlhuber’s infill building at 9, Brunnenstrasse which includes the project "BUG" by Mark Bain (2010), listened to Ignacio Uriarte’s piece “Counting (for) Eight Hours” at the Berlinische Galerie (2014) and heard Camille Henrot's piece "The Pale Fox" (2015) in Werner Düttmann’s St Agnes Church Berlin recently reconfigured by Arno Brandlhuber.